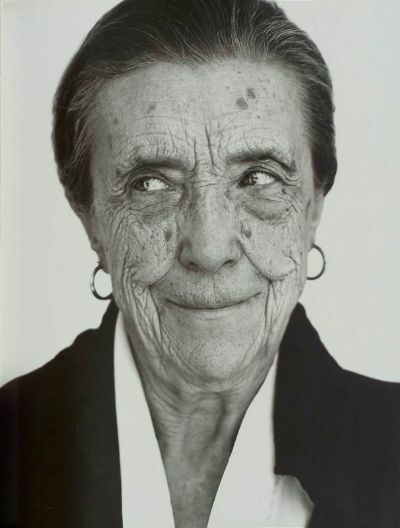 Louise Bourgoise is nearly 100. Wow. What an artist, what a sculptor. She’s French, but really — now — American; she lives in New York. She represented the United States at the Venice Biennale back in 1933. 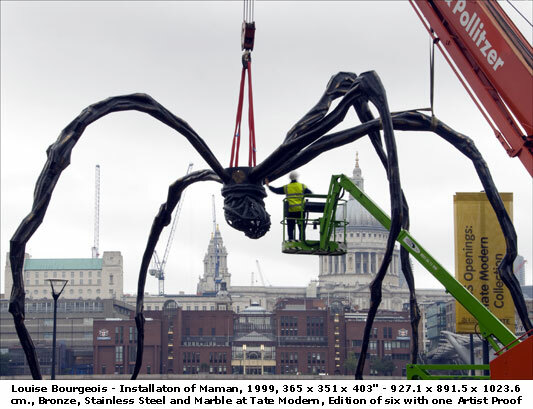 Everyone will no doubt think of her as the spider sculptor, especially as she did the inaugural exhibit of the Tate Modern in London (Bankside Power Station’s Turbine Hall) in 2000. That was something! Called Maman, it is just breathtaking. It is stainless steel with marble eggs, and I once considered planning a road trip to visit the bronze copies dotted around the world from the Guggenheim in Bilbao to the Jardin des Tuileries in Paris. There’s even one in Havan Cuba, and another in Tokyo! What an excuse for foreign travel — collect the set! It was on loan for eight years before being bought for 3.2 million quid in 2008. Louise promptly bought a Townhouse mansion in Manhattan for 4.75 million dollars, I mean, come on — she’s 98 and then she hits the Big Time — there’s inspiration. After her husband’s death, her career took off — from the 197os on, building and building… and I find her fascinating as a result. It is NEVER too late, and you are NEVER too old! I guess it helps if you know the original meaning of hysteria. This is one of those examples of best work done well beyond youth, and as I get older, I find that a comfort and an inspiration. Go girl! This entry was posted on	2010-03-02 at 01:22	and is filed under Objects, personal. Hi Dave, I too saw that exhibition in the turbine hall at Tate Modern – it was amazing! I also saw La Princess a huge mechanical spider in Liverpool 2008. Unfortunately I wasn’t there to see her walk. I just heard that Louise died last night. How sad. Nice post Dave.